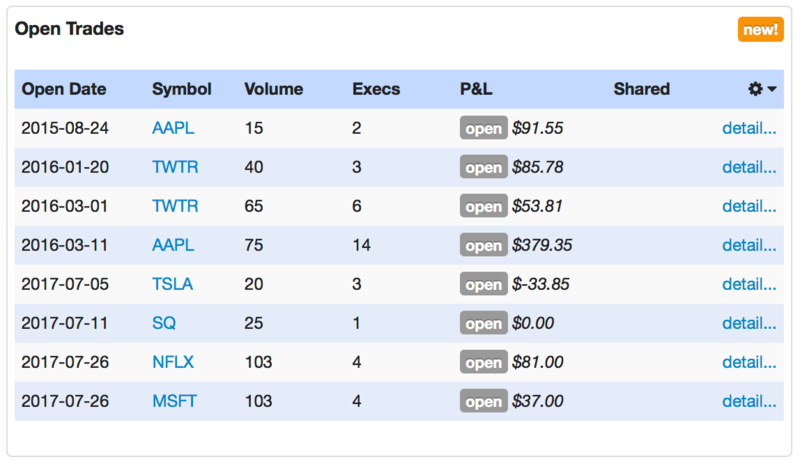 If you’re testing your trading strategies using CloudQuant, you can now import your data into Tradervue for analysis! In Tradervue, click Import Trades, select CloudQuant from the list, and follow the instructions over on the right side of the page. If you’re using the TradingSim.com trading simulator, you can now import your trading data into Tradervue. In Tradervue, click Import Trades, select TradingSim.com from the list, and follow the instructions over on the right side of the page. Here is our complete list of supported brokers and platforms. You’ve always been able to import from Forex.com if you’re using MT4. However, if you were using their proprietary platforms, you’ve been out of luck. Until now! You can now import your trading data from Forex.com’s Advanced Trading Platform (ATP). In Tradervue, click Import Trades, select Forex.com from the list, and follow the instructions over on the right side of the page. You can now import your trading data from CQG Desktop, in addition to CQG Integrated Client. In Tradervue, click Import Trades, select CQG Desktop from the list, and follow the specific instructions over on the right side of the page. You can now import your trading data from Ally Invest. In Tradervue, click Import Trades, select Ally from the list, and follow the specific instructions over on the right side of the page. If you’re using a different platform, here is our complete list of supported brokers and platforms, which is growing all the time! One of the most popular features of Tradervue is the way price charts are auto-generated for all of your trades, showing all of your buys and sells during the trade. 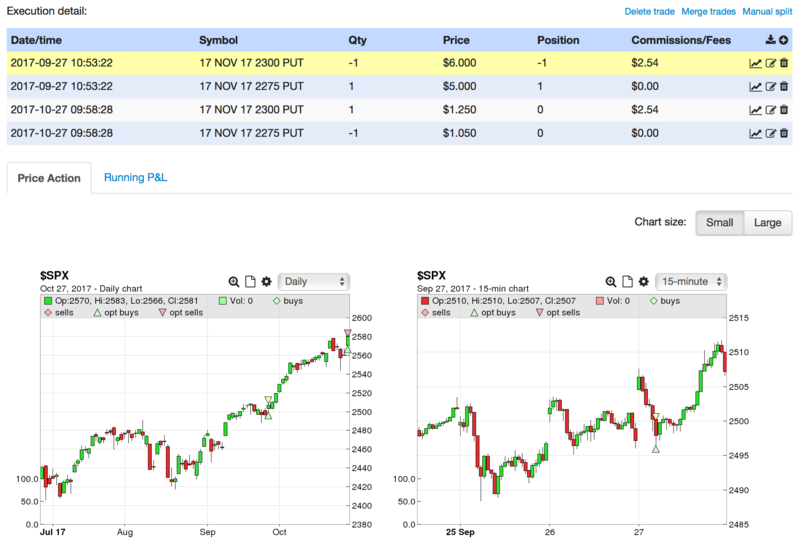 You can choose any timeframe you like for up to 4 charts on each trade, and they will all show your executions. In some cases, however, you can’t see all of the executions you want on a chart of a specific timeframe. For example, if you have a trade that lasts for 6 hours, you can’t show both the entry and exit on a 1-min chart. 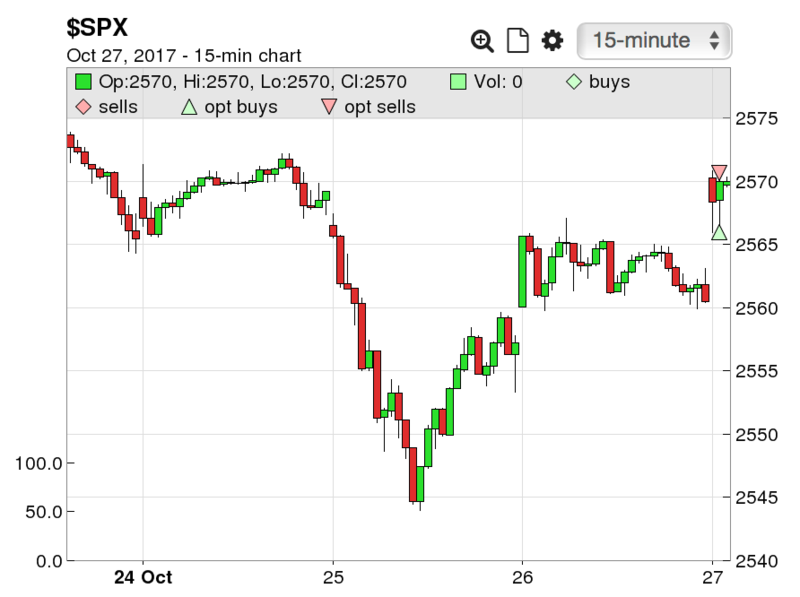 Or if you have a trade that lasts a month, you can’t see a 5-min chart of your entry – you’ll only see it for your exit. Today, all that changes! You can now see any execution on any timeframe. In this case, we only see the closing executions, as the chart would have to be quite large to show both entries and exits on a 15-min timeframe for a month-long trade. As with any other chart, you can zoom in on any of these, or view them in large mode. This works for any trade, on any timeframe, starting today! You can now import your futures trading data from Tradovate. On the Tradervue Import Trades page, select Tradovate from the list, and follow the instructions on the right side of the page! Using a different platform? Here is our complete list of supported brokers and platforms. 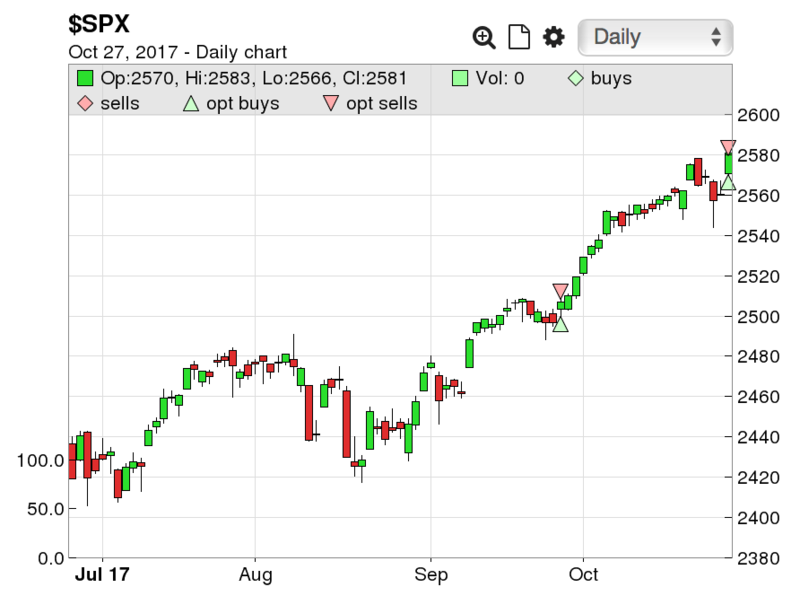 You can now import your futures trading data from Bookmap. On the Tradervue Import Trades page, select Bookmap from the list, and follow the instructions on the right side of the page! You can now import your futures trading data from MotiveWave. As always, on the Tradervue Import Trades page, select MotiveWave from the list, and follow the instructions on the right side of the page! This is useful for those who make multi-day swing or long-term trades. 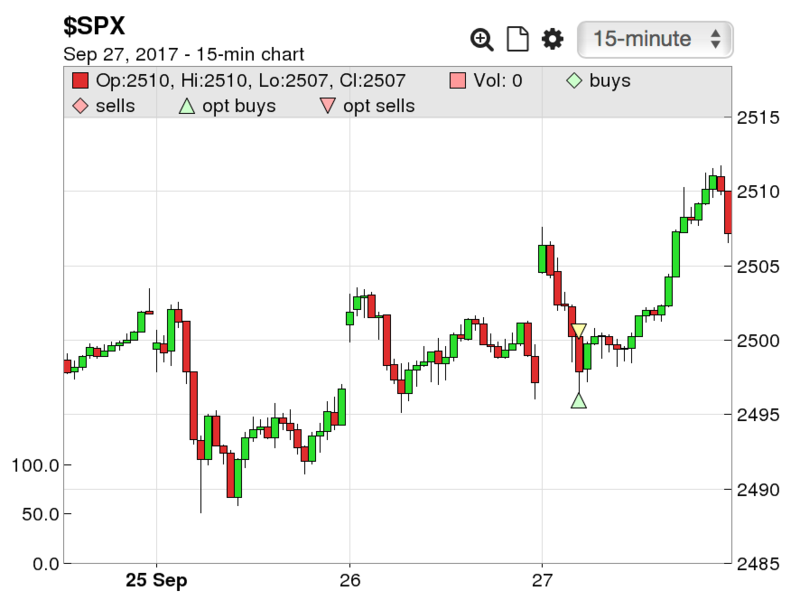 But even if you’re trading intraday, it’s a handy way to quickly see if any of your trades are showing as open, often indicating missing executions that you may not have imported. The “Open Trades” box on the Dashboard will not display if you don’t have any open trades, so we won’t take up any extra space if it’s not necessary. The columns are customizable, and are saved separately from the columns you’ve chosen in the Trades View, Journal View, and the current day summary on the Dashboard. 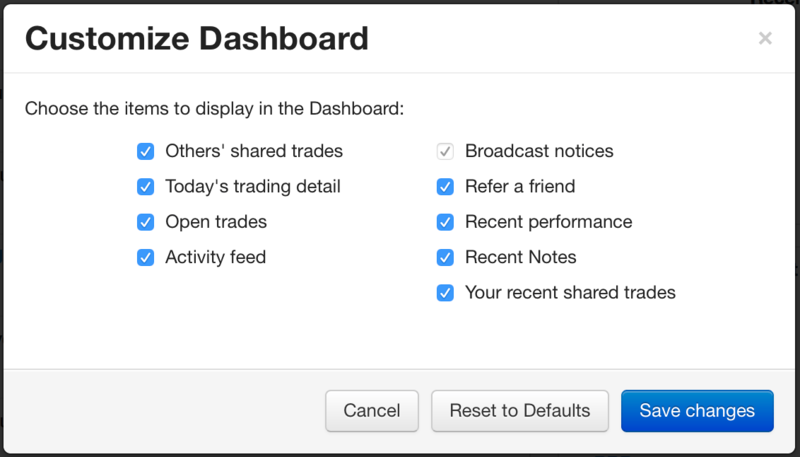 The Open Trades box has been added for all users, even if you have previously customized your Dashboard.